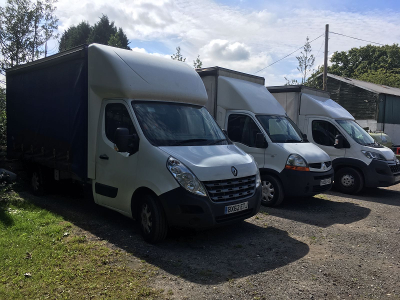 With over twenty year’s logistics experience, AP Express is a friendly and professional light haulage, & sameday courier company that has been operating throughout the UK since 1999. In that time we have established ourselves as a company with a "Yes we can" type attitude. With our Operating base in Solihull we are ideally placed to access the UK’s Central Motorway Network to meet our Customer’s delivery needs, 24 hours a day, 7 days a week, 365 days a year. As part of a nationwide network of Sameday Couriers and Hauliers we are also able to arrange collection anywhere in the mainland UK, usually within 1 hour of booking, for delivery the same day. All goods are transported straight to their destination – same day, next day or if you prefer we can organise times to suit your needs. We can transport fragile and unusual goods that you might not wish to entrust to one of the big integrators, we take end to end ownership for the responsibility of delivering your goods in the same condition we receive them, from collection right up to final delivery at the agreed destination. We operate in an environment where communication is key, therefore, utilising our “real time” vehicle tracking system, we will always do our best to meet delivery timeframes and where incidents beyond our control impact on agreed delivery times, for example delays due to road closures following RTC’s, we will keep you full advised, by telephone and or email as agreed. Whether you are looking to send a one off consignment or are seeking a reliable supplier to cover a regular contract, we are confident of being able to offer you a high quality service at very competitive prices and a quality of care that we are rightly very proud of.